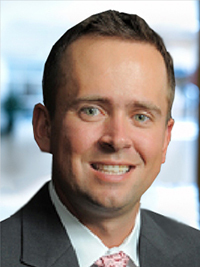 Ryan Engelhardt is a Managing Director in the Syndicate Department on Baird’s Equity Capital Markets Desk. 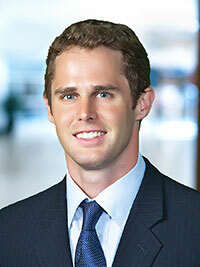 Ryan has been with Baird since 2003 and has worked in his current function since 2005. Prior to joining the Syndicate team, Ryan worked in Baird’s Finance Department. Ryan holds a B.A. in Organizational Administration with Minors in Economics and Communications from the University of Wisconsin–Milwaukee. Justin Holsen is a Managing Director in Baird’s Equity Capital Markets group, responsible for origination and execution of equity transactions in the Industrial and Energy sectors. Prior to joining Equity Capital Markets, Justin was an Institutional Equity Salesman responsible for lead sales coverage for several of Baird’s Institutional clients located on the West Coast. Justin also held various leadership roles across all of Baird’s Institutional Equity & Research group, focused on driving revenue growth and market share gains with key trading partners. Prior to joining the Institutional Equity & Research group in 2006, Justin spent 3 years in Baird’s Institutional Fixed Income Capital Markets group, most recently as a Fixed Income Salesman, covering accounts across the U.S. Justin earned an B.S in Finance from Marquette University, where he played Division I Tennis and was team captain his junior and senior years. Lance Lange is a Managing Director in Baird’s Equity Capital Markets group and leads the firm’s effort to advise healthcare clients on all aspects of the capital raising process. He is responsible for the origination and execution of all equity transactions, including bought, publicly marketed and confidentially marketed transactions. Prior to his current role, he led the equity capital markets practice for the industrials sector. He joined Baird from Lazard Frères & Co. where he was Head of Industrials for ECM and was responsible for capital markets origination, execution and advisory for U.S. listed companies. Lance is a member of Baird’s Capital Commitments Committee; and, over the course of his career, has completed hundreds of financings and advisory assignments for clients in the healthcare, industrial and business services sectors. Lance began his career at Merrill Lynch. He received a BA in Economics and Political Science from the University of Wisconsin-Madison and a J.D. from Marquette University Law School. Bill is Chairman of Equity Capital Markets for Baird. Bill works closely with Baird's Investment Banking, Research, and Sales and Trading teams in the United States and international markets. Bill, who joined the firm in 1986, is a member of Baird's Board of Directors, Executive Committee, Audit Committee and Marketing Committee. He is Co-Chair of the ECM Committee and a member of the Leadership Committee and Capital Commitment Committee. Bill earned his bachelor's degree in finance from Southern Methodist University. He sits on the Children's Hospital of Wisconsin Investment Committee and Finance & Audit Committee. In addition, he serves as chairman of the board for Marquette University High School, is chairman of their Investment Committee and a member of their Executive Committee. 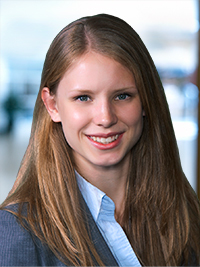 Sandy Walter is a Director in Baird’s Equity Capital Markets Group, advising clients in the Real Estate, Distribution and Logistics sectors on all aspects of the capital raising process. He is responsible for the origination and execution of all equity transactions, including IPOs, publicly and confidentially marketed follow-ons, bought deals, preferred offerings and At-the-Market (ATM) programs. 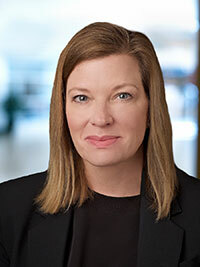 Since joining Baird in 2004, Sandy has served in various roles across Baird’s Global Investment Banking business, including the firm’s Global Technology & Services group, focused on M&A and equity offering activity, and the Real Estate Investment Banking group. Sandy graduated from Bates College, with a B.A. in Economics and received his MBA from the University of Wisconsin-Madison, with a concentration in Finance and Investment Banking. Sandy is a member of the Board of Directors for Operation Dream for Greater Milwaukee.